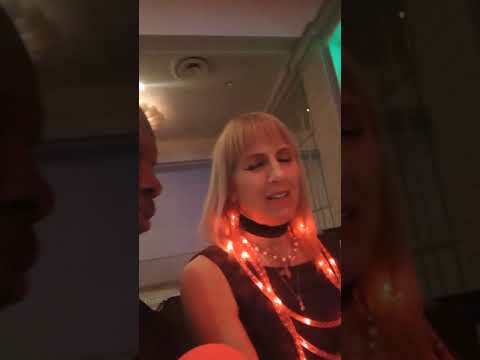 Help Obba Babatundé and MIMPA's 2019 Lady in Red event to raise money for Shelter Partnership of Los Angeles. If you prefer Obba's impression of Humphrey Bogart over his Sammy Davis Jr., then donate through this team and help the homeless of LA County at the same time! Help Obba Babatundé and MIMPA's 2019 Lady in Red event to raise money for Shelter Partnership of Los Angeles. 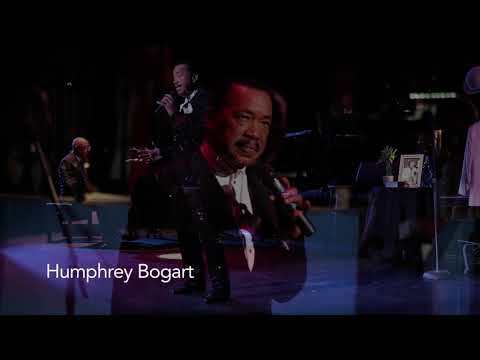 If you like Obba's impression of Sammy Davis Jr. better than his Bogart, donate through this team and help the homeless of LA County in the process! This year, the Lady in Red Diamond Rose Awards Event is raising money for Shelter Partnership, a Los Angeles non-profit seeking to assist the homeless in LA County. Our good friend, Obba Babatundé, has enlisted in the cause by lending us his considerable vocal talents and knack for impressions. Check out Obba's impression of Humphrey Bogart. If you love the energy of Obba's Bogie then this could be the beginning of a beautiful friendship. Signal how much you like it by donating to Shelter Partnership through the Bogart team, then share it with your friends so they can do the same. If here isn't looking at you, kid, you can switch to the Sammy Davis Jr. team and check out that Obba impression. LA County has one of the highest rates of homelessness in the nation, and effective policy, multi-agency collaboration, and a systems change approach is needed to reverse this trend. Shelter Partnership addresses the causes of homelessness by building the capacity of community-based agencies, developing resources for affordable housing, and providing decades of housing policy expertise to state and local government. Our work has helped secure $241 million in funding to housing developments that included over 1,500 units designated for homeless veterans. Rank#21 Hot Seat This challenger hasn't brought in any donations yet. Until they do, they are on the hot seat! Rank#22 Hot Seat This challenger hasn't brought in any donations yet. Until they do, they are on the hot seat! Rank#23 Hot Seat This challenger hasn't brought in any donations yet. Until they do, they are on the hot seat! Rodney Allen Rippy Supports ! Rank#24 Hot Seat This challenger hasn't brought in any donations yet. Until they do, they are on the hot seat! Rank#25 Hot Seat This challenger hasn't brought in any donations yet. Until they do, they are on the hot seat! Rank#26 Hot Seat This challenger hasn't brought in any donations yet. Until they do, they are on the hot seat! Rank#27 Hot Seat This challenger hasn't brought in any donations yet. Until they do, they are on the hot seat! Rank#28 Hot Seat This challenger hasn't brought in any donations yet. Until they do, they are on the hot seat! Rank#29 Hot Seat This challenger hasn't brought in any donations yet. Until they do, they are on the hot seat! Rank#30 Hot Seat This challenger hasn't brought in any donations yet. Until they do, they are on the hot seat! Christopher A. Chambers donated $100.00. 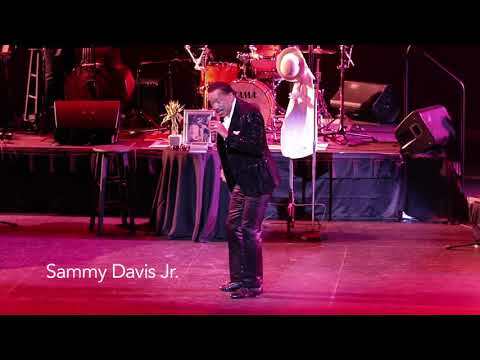 Click on the video in our challenge section to see Obba bring Sammy Davis Jr., the coolest cat to ever cut a rug, to life. If you enjoy it, you can and 'like' it by donating to Shelter Partnership through this team. If you prefer Obba's Humphrey Bogart, switch to that team and donate through that side. Which impersonation of a superstar from yesteryear will help bring in the most donations for LA's homeless? It's up to you to decide! Rank#8 Hot Seat This challenger hasn't brought in any donations yet. Until they do, they are on the hot seat! Rank#9 Hot Seat This challenger hasn't brought in any donations yet. Until they do, they are on the hot seat! Rank#10 Hot Seat This challenger hasn't brought in any donations yet. Until they do, they are on the hot seat! Rank#11 Hot Seat This challenger hasn't brought in any donations yet. Until they do, they are on the hot seat! Rank#12 Hot Seat This challenger hasn't brought in any donations yet. Until they do, they are on the hot seat! Rank#13 Hot Seat This challenger hasn't brought in any donations yet. Until they do, they are on the hot seat! Rank#14 Hot Seat This challenger hasn't brought in any donations yet. Until they do, they are on the hot seat! Rodney A Rippy donated $20.00.